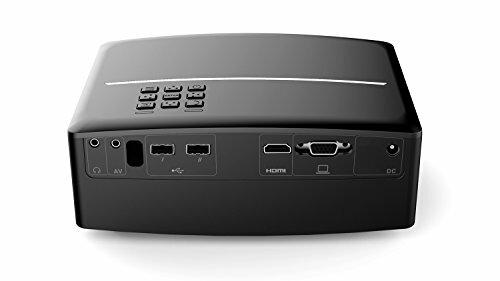 Product prices and availability are accurate as of 2019-04-17 10:56:30 EDT and are subject to change. Any price and availability information displayed on http://www.amazon.com/ at the time of purchase will apply to the purchase of this product. 1. 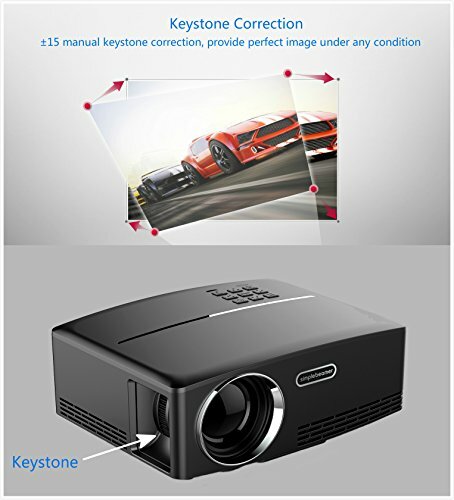 Easy to connect to PCs, Laptops, Blue-ray DVD player, Tablets, Smartphones, Media players, SD card, and USB disk etc. 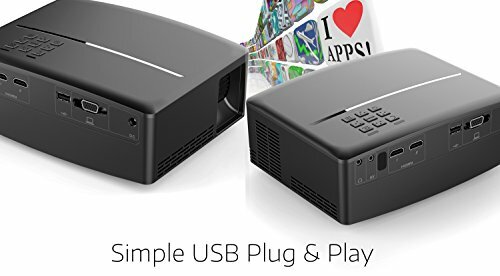 to provide enjoyable home entertainment. 2. The USB port support the charge of your cellphone, ipad, etc. 3.With short axis focusing design, the light utilization efficiency increase 30%. 4.Full seal optical system with dustproof design protest all optical parts and keep the lens clear and sharp all the time. 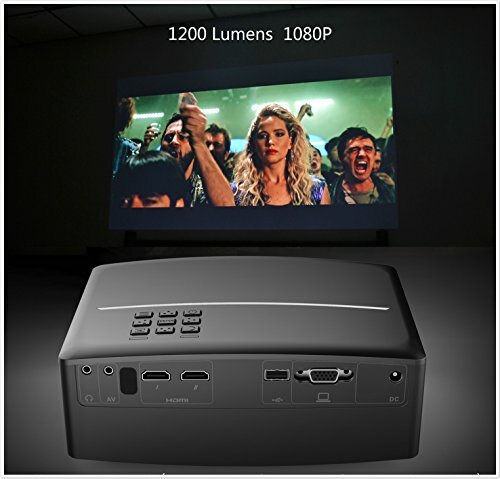 5.LED light provide you with brighter and more colorful image, save energy. 6.Suitable for any installation styles can be sat on a table, stand or hung from the ceiling for different angels as you like. 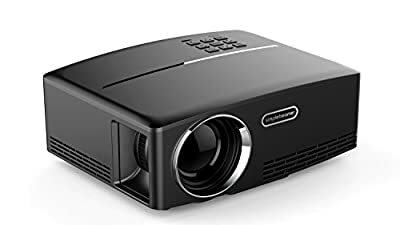 7.The Projector provide bright and clear image in the low light conditions, ideal for movie night, not perfect for professional PPT presentation.